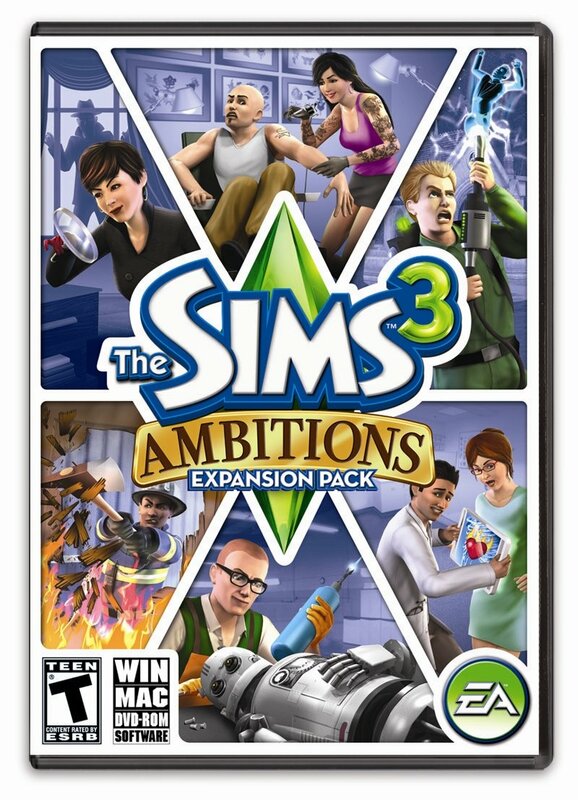 Sims 3 fans would probably buy the Ambitions expansion pack even if it was in a plain cardboard box with the title scrawled on the side in magic marker. However, EA has opted for something a bit fancier. Ambitions allows you to control your Sims while they're at work. As the box art demonstrates, there's a wide variety of professions to choose from. You can even be a ghost hunter or a mad scientists, two jobs that your guidance counselor probably tried to dissuade you from. The expansion pack arrives in June for the PC and Mac.